How to trascend the “classic” tour around the capital of Cuba? What to do in the night? Are there any “hipster looking-alternative sites”?…. Of course! 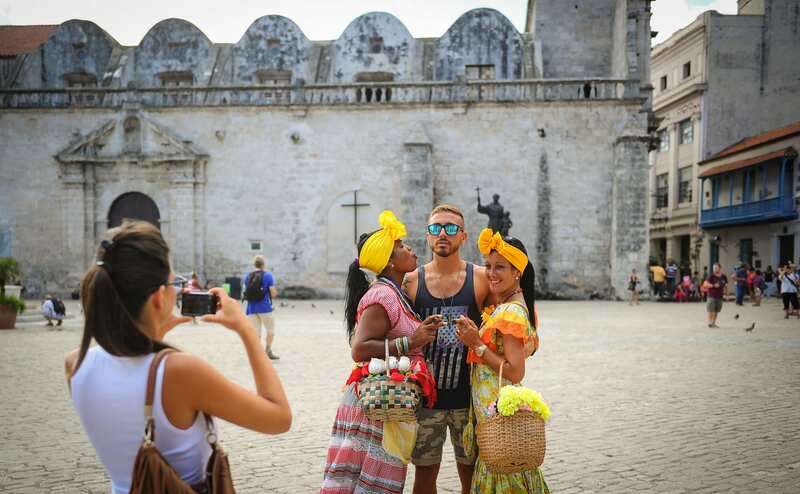 It´s really easy to get lost in the traditional cuban experience, specially in Havana. Wherever you are, you will fell the “authentic Cuba” because in Havana it is very common for old museums to be adjacent to humbler houses or palaces converted into plots or “solares”. There are places that one can not miss, like the Capitol, the Castillo del Morro, Chinatown, and Obispo Street, a boulevard that dates back to the 16th century and is always full of people, museums, bookstores, craft shops and coffee shops. From the historical point of view, it is worth going to the Museum of the Royal Force, where samples of treasures of wrecked ships or attacked by pirates in the bay of Havana or the seas that surround Cuba are kept. There is also the original statue of La Giraldilla, one of the icons of Havana, and scaled reproductions reproductions of the three ships in which Columbus discovered the New World . Another very peculiar site is the gallery “El Ojo del Ciclón” on O reilly street. This place is dedicated to the promotion of the work of the Cuban visual creator Leo D ‘Lázaro. His pieces are quite amazing: crashed cars, painted suitcases and metal remains transformed into art. Most of the facilities are interactive. You can hit a punching bag, play an extravagant table football or hang your backpack on a metal scarecrow. On the outskirts of Havana you can visit the town of Cojímar, if you like Hemingway’s work. That’s where he wrote his famous novel: El Viejo and El Mar, and still in that place are retained sites that are mentioned in the plot as the port, the shark meat stores and Las Terrazas restaurant. You can go to the Fábrica de Arte Cubano, or get to know the bars of the capital. Those of Old Havana are very alternative, those of Vedado and Playa have a more modern air. In general, they have great food and drinks for a reasonable price, compared to other countries. There are many excellent places to eat in Havana. One of the most famous is the restaurant San Cristóbal, on San Rafael Street, where the Obama family dined during their stay in Cuba. There is also the restaurant La Guarida, in a decadent house in Centro Habana where the only Cuban film nominated for an Oscar (Fresa y Chocolate) was filmed in the 90s. In Chinatown you can taste at a reasonable price dishes that mix Cuban and Chinese seasonings. But in many of its little streets, the owners of restaurants prefer to offer Italian food and there are places that are worthwhile like La Mimosa, or the Lotus Flower Lien Fa, both in the street Health. In Old Havana one can not stop proving food and drinks at the Bodeguita del Medio or El Floridita. But another interesting place is the Restaurant Nazdarovie, with Russian food, which offers excellent Soviet dishes in an atmosphere of nostalgia in front of the Malecón de la Habana.